One of the hot topics in the physician lounge lately has been telemedicine. 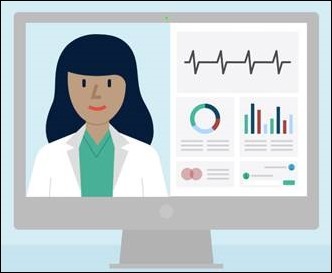 Several of the larger physician organizations are pursuing strategies to incorporate telemedicine into their practices. It’s interesting to see the different strategies they’re taking, and given the similarities of their patient populations, I’ll be looking forward to seeing which one is more effective. The first group wants to render the telemedicine services in-house because they think it’s going to be key for patient loyalty. They’re looking at different platforms that will enable their physicians to not only perform video visits in lieu of face-to-face visits in the office, but to perform after-hours services. One of the major drivers of the latter is trying to prevent some of the revenue leakage that’s currently going to urgent care and retail clinics. Of course, they pay some lip service to quality of care and continuity of care, but the conversations their decision-makers are having seem more about the revenue than anything else. The members of the group that are part of administration are completely on board with it, but the rank and file physicians aren’t entirely in favor. The group is multi-specialty and leadership seems to think that the primary care physicians are more willing to consider telemedicine than the subspecialty physicians. Even among those willing to consider it, though, there are some doubts since many of the primary physicians have given up non-office practice. They no longer see patients in the hospital and haven’t taken call in years, preferring to use nurse triage services rather than being awakened in the middle of the night. For physicians who aren’t even willing to call out antibiotics for an uncomplicated illness without seeing a patient in the office regardless of the validity of the symptoms and history, it will be a huge cultural shift for them to sit at the computer or use their phones to speak with patients who are angling for medication or other treatments over the phone. For them to be successful, they need a platform that will help them document what they’re doing. It will need to connect seamlessly with their EHR to ensure that the records of evaluation and treatments are not lost. The physicians aren’t going to tolerate having their documentation sit in a separate system or be unavailable to them in the future. They’re also going to have to figure out how to divide up the work and the revenue for the visits, because I can’t imagine every physician wanting to be on call 24×7. If the subspecialty physicians agree to it, they may adapt more easily since they’re already used to sharing call and taking care of each other’s patients without specifically being compensated for it since many of their procedures are billed on a global basis. Many of the procedural subspecialists have physician assistants that work with them and I can imagine the PAs will handle most of the telemedicine work. Unfortunately, they’re on an EHR platform that doesn’t have telemedicine capabilities and hasn’t integrated with any of the telemedicine companies they’re looking at. Although the group’s leadership is eager to get started, I suspect it could take a year for them to really be ready to implement a solution. First they have to make a decision, then they’ll enter the contracting phase (which is never speedy for them), and then they’ll have to figure out the integration and implementation pieces. If they are smart, they’ll work on the cultural pieces and figure out the call schedule and compensation parts while the IT team is working their magic. The other group has a similar patient population, but they believe their analysis shows that their patients are less concerned about loyalty than they are about being able to reach a physician quickly after hours. The physicians aren’t terribly interested in video visits as an alternative to office visits, but they do want to capture the revenue that they’re losing to after-hours competitors. They’ve elected to outsource telemedicine for primary care since that’s where most of the business is – it’s not like there are after-hours orthopedic surgery or neurology clinics that patients are going to, so the group is going to hold off on doing anything with their subspecialty physicians. They’ve found a vendor that will send documentation to them for all telemedicine visits, and although the data is going to be formatted as a document rather than as discrete data, they’ll be able to have the solution up and running in a matter of weeks. If you’re an informatics purist, that might not be a palatable solution. But if you’re looking to solve the business problem of revenue leakage, they’re at least going to get a percentage of the revenue if they go about it this way, rather than getting zero revenue for patients going to urgent care or retail clinic facilities. They’re also contractually guaranteed to receive records from the visits rather than crossing their fingers and hoping they’ll get something back from the pharmacy clinic. Hopefully their understanding of their patients is accurate and there won’t be too many concerns about being cared for by physicians who don’t know them or their histories. I asked the physicians I was talking to whether the telemedicine company will have access to the EHR for medication lists or notes and they weren’t sure. That will need to be ironed out during the contracting process for sure. Once they are established with the after-hours component, they have the option to expand how they use telemedicine technology. I think their strategy is prudent. Rather than waiting for the perfect solution, they’re at least going to dip their toes into the proverbial waters and see how it plays for their patient population. I’ll have to make a point of checking in with them in a couple of months and see how things are going – whether they were able to get through the contracting phase quickly and whether they were right in their assumptions about how their patients will receive their new offering. Have you implemented telemedicine? How is it going? Leave a comment or email me.